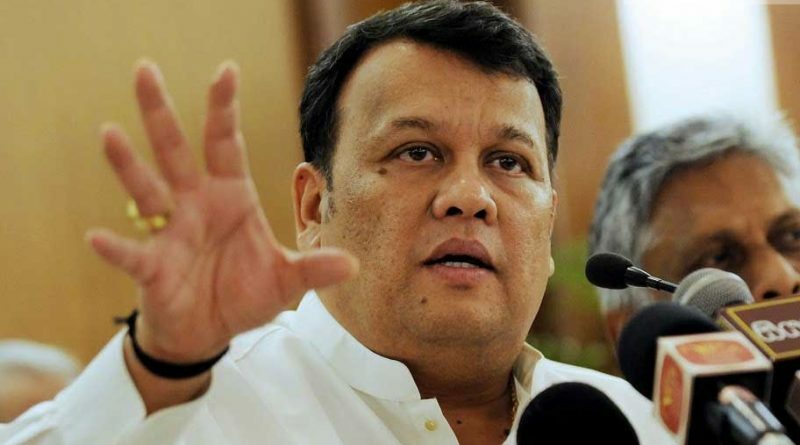 A formal agreement was finalized between the Sri Lanka Ports Authority (SLPA), Colombo International Container Terminal (CICT) and South Asia Gateway Terminals (SAGT) to promote the Colombo Port, according to Minister of Ports and Shipping, Mahinda Samarasinghe. “We have negotiated a hallmark agreement between the three operators in the Colombo Port to promote the Port collectively. I see this as a huge achievement; the three operators coming together is a win-win situation for all players. Through this, a focused work plan will be put in place and operated jointly, so that results will be achieved soon,”…said Samarasinghe at the annual awards ceremony of the Institute of Chartered Shipbrokers last Friday. SLPA Chairman, Parakrama Dissanayake, said the Agreement is a groundbreaking arrangement to share the resource of the three players, putting aside competition to market and protect the greater interests of the Port of Colombo. He noted that the Agreement would help streamline activities of the Port, adding that the Agreement would be officially signed next week. Moreover, the Minister said urgent approval will be sought from the Cabinet for the accelerated development of the East Terminal (ET), as the sustainability of SLPA’s operations fundamentally depended on it. He said that if the East Terminal was developed within a short period, it would facilitate ships that are currently unable to enter as a result of only CICT having deep-water facilities, which the other two operators do not possess. “Despite the fact that SLPA has achieved a Profit Before Tax (PBT) of Rs 13.2 billion for the financial year ending December 2017, we must see external factors, such as the amalgamation of shipping lines into mega lines and economies of scale up to 50,000, as a result. We cannot accommodate such a big capacity currently,” he expressed. Moreover, he said the SLPA had lost Rs 3.5 billion dilly-dallying with the project, noting that the tender process could have been fast-tracked to have materialized by now. He noted that SLPA will develop and manage the East Terminal to cater to the demand for a deep-water facility. CICT is the only deep-water terminal in South Asia capable of handling the largest vessels afloat, and has a 2.4 million TEU design capacity. The SLPA has completed a 440m single berth, as the first phase of the Eastern Terminal development plan to bridge the shortfall in the Port of Colombo’s container-handling capacity. This development, which consists of a 440m quay wall alongside a water depth of 18m, was successfully completed in May 2015 with a project cost of US$ 80 million. Last year, President Maithripala Sirisena said the Eastern Terminal of the Colombo Port would not be handed over to an external party under any circumstance.